Surface mounted ceiling spotlight. Spotlights that are fixed onto the ceiling rather than being recessed into the ceiling are a great choice where it is not possible to install recessed down lights. Avoid cutting holes in your ceiling and fit surface mounted spots instead. The Enola spot is a round tube shaped individual spotlight that fixes straight onto the ceiling. It is manufactured in aluminium that has been given a white finish that will blend effortlessly in with white ceilings. It uses a GU10 spotlight bulb that will provide light in a downward direction making it great for lighting kitchens, halls and passageways as well as open plan living areas. Can be used with both standard and low energy GU10 bulbs. 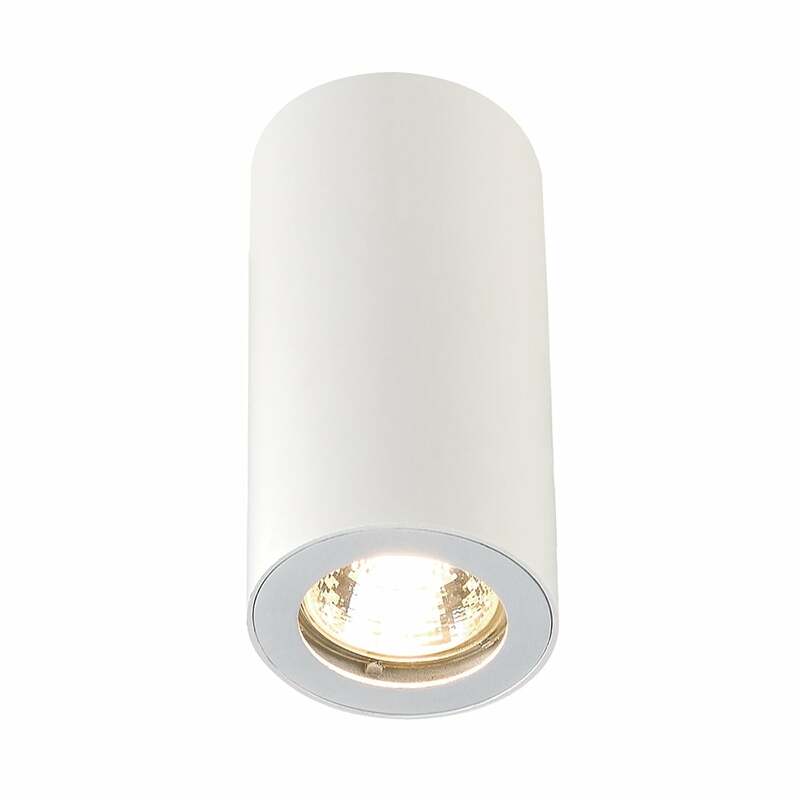 To save money on running costs why not use one of our LED GU10 bulbs - they are very long lasting and economical to run.